Aluminium Balustrades North Coast, ABnc, approached Garnish Marketing in 2014 to assist with their rebranding. ABnc had been manufacturing and supplying high-quality aluminium products for commercial and residential applications since March 1981. ABnc had built up a reputation as THE provider of fully customised balustrade systems to major high-rise building and government funded projects, as well as to the general building industry. However, since the conception of the company the expertise, skills and knowledge of the team had grown far beyond that of simple balustrading. ABnc had fast become one of the most recognised names in the construction industry. ABnc has an extensive professional design and construction team that is focused on providing practical, innovative and technically robust products for a wide range of applications and therefore Management at the company decided a rebrand was necessary as part of their growth strategy. We have complete satisfaction with turnaround times, quality of work and design, as well as the efficiency of our Account Manager at Garnish. Working alongside Angie and the team at Garnish Marketing, ABnc built and implemented a strategy to introduce their new brand Architectural Metalworks Australia, AMA. Whilst it was important for AMA to enter the market strong, it was also crucial that the many years of loyalty, branding and reputation in ABnc were not lost. * Set up and implementation of an email marketing system. Including the initial email out to industry to launch the AMA brand. Sam Bevis, General Manager at AMA, said he was extremely happy with the transition of the brand from ABnc to AMA. 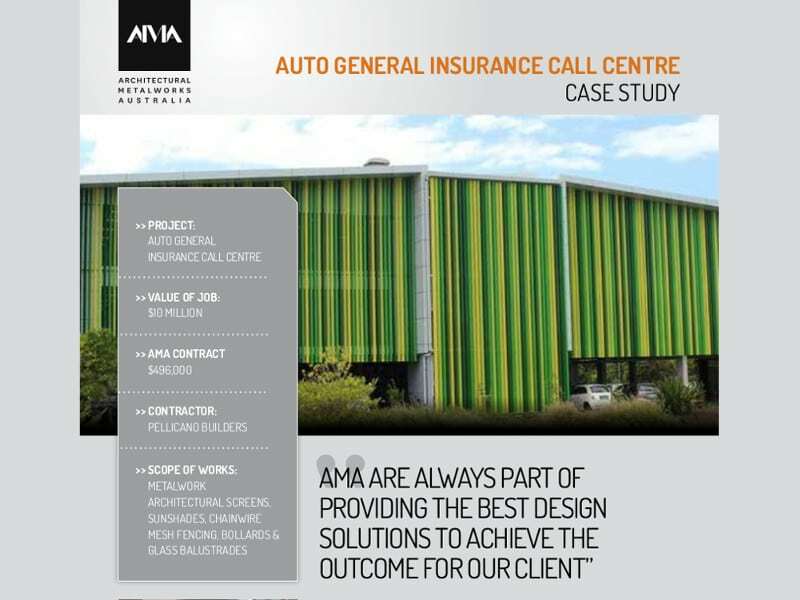 Stating that customers had embraced the company’s growth and were very positive about the update not only to the name, but also to the scope of projects AMA were involved in and the results they were now delivering. The truth is, ABnc had been growing and expanding their project scope and expertise for many years, they just needed Garnish to help them shout about it! Now that the AMA brand is launched and in full swing, naturally becoming a brand in its own right alongside ABnc, Garnish continue to work with Sam and his team as part of the on-going company marketing strategy. Monthly tasks Garnish work on for AMA include, case studies, email marketing, blogs and design work. premanufactured posts that can be adjusted to suit onsite. It is a first to world concept, and the marketing needed to reflect this! Garnish have worked with the team at AMA from the initial name, branding and messaging behind the new product, to rolling out launch items such as website, email marketing, technical data sheets, product sheets and case studies on the new product. “This has met by the market with great enthusiasm and continues to gather momentum with the marketing we are doing. We were really pleased with the strategy and implementation of the Structglass launch and feel confident we could roll this out with other key products we introduce”. When asked if AMA were happy with the service they received from Garnish Marketing, Sam Bevis responded with a very clear, “Yes”, and also commented on his complete satisfaction with turnaround times, quality of work and design, as well as the efficiency of his Account Manager at Garnish. Communication between AMA and Garnish remains strong and we are very proud to be working with such a forward thinking and innovative organisation.